Whether we like to admit it to others or not, most of us have a list of things that are on our ‘to do list’ or bucket list, before we are no longer able. Simply said - we have an idea about things that make us smile and create very special memories. – or the inevitable list of things that we would have liked to have done but just haven’t got around to it – for whatever reason. A diagnosis of a terminal illness often focuses that desire to achieve things not yet tackled, with time frames becoming more important. 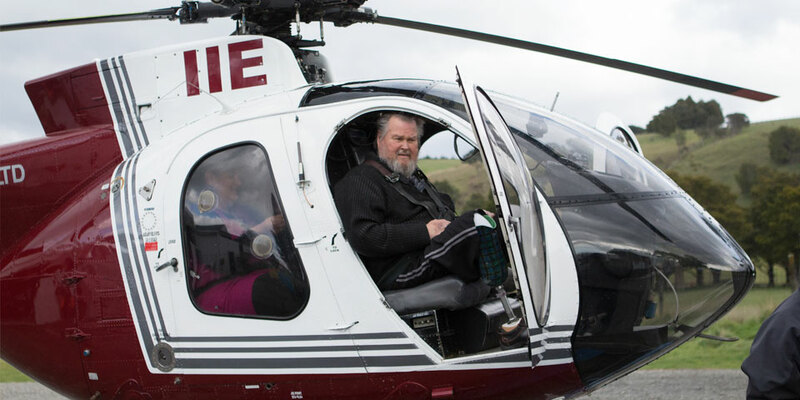 At Hospice Wairarapa we want to try and make some of those things happen for you– whether it be such things as taking a trip in a helicopter, flying a kite, having a picnic, planting a tree, going back to a special place with someone important to you or carrying out something that you just wanted to do for the sheer joy of it! Some find that organising this can simply be too hard – at a time when our energies are spent on carrying out the day to day tasks. We will talk with you, and if you would like, with others you want involved in your special event, to see how you would like things to take place. Hospice Wairarapa can’t promise to make you wish come true, but we do promise to do our best to try and make this happen in the way that you choose so that memories and great moments can be shared and treasured on the day and into the future. We would love to help you achieve those things that are important to you – big or small, and be part of your adventures. The more time you can give us to plan and prepare the better. So don’t put off asking us to help, and don’t think what you want to do is too big, too difficult or too expensive to achieve. That’s what dreams are for and we’d love to try and help facilitate yours.